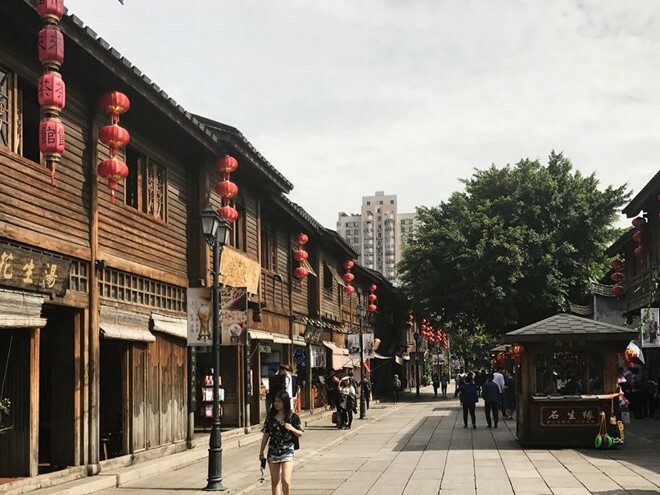 The 2,000-year-old capital of Fujian Province, Fuzhou, is a remarkable city that has managed to hold on to its rich cultural heritage, whilst going through a period of rapid development, giving any visitor a true sense of the phrase ‘East meets West’. 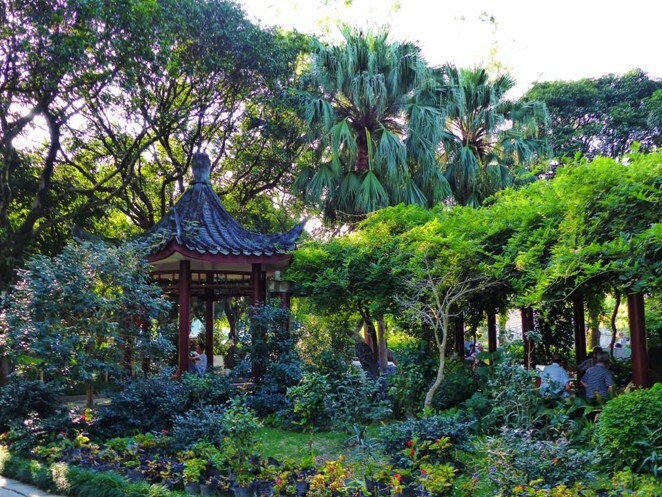 As well as being home to some of the country’s most ancient and interesting sights, thanks to its south-easterly position, Fuzhou is surrounded by stunning scenery and boasts some of the cleanest air in China, making it a great city in which to live. Teaching positions in Fuzhou are available through our Private School Teaching Programme. Teachers who choose this city will join a branch of a well-established school that has gained an excellent reputation not only in Fuzhou, but also throughout China. As a teacher in Fuzhou, you’ll be expected to work Wednesday to Sunday from 15:00 until 20:30, leaving plenty of time to explore. Teachers receive a total of 5-6 weeks of paid holiday throughout the year, some of which takes place over national holidays and the rest to be used as suits. Classes tend to comprise of around 10-15 students, and teachers are given a detailed curriculum to follow. 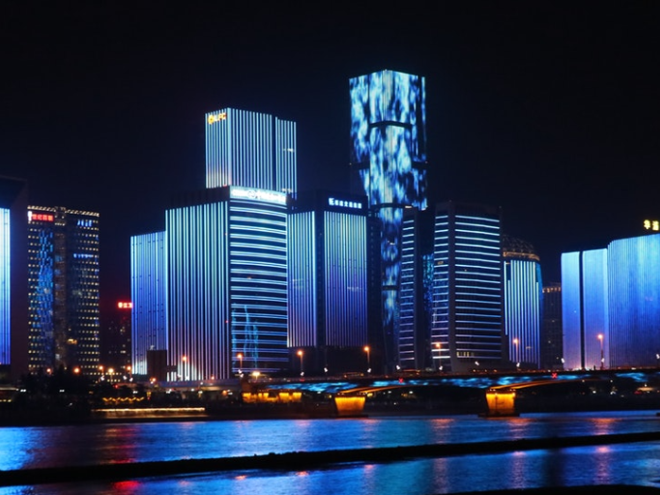 You will receive ongoing training and support throughout your time teaching in Fuzhou, and those who perform well will have the chance to progress to other positions within the business. Outside of teaching times, the school organises frequent social events and outings, giving teachers the perfect chance to mingle and get to know teachers from the schools’ other branches in the city. Our Fuzhou placement offers a net salary of between 10,000-13,500 RMB per month, depending on experience and performance. A quarterly salary increase is given to those who perform well in the position. All teachers working in Fuzhou are offered accommodation close to the teaching site as part of their placement. Teachers have their own room within a shared apartment, usually with one other person. All school accommodation is fully furnished, has a western toilet and is of a good standard. No rent is charged for the accommodation, but teachers are expected to pay their utility bills (approx. 350 RMB per month). For those not wishing to live in school accommodation, the school offers a 2000 RMB housing allowance per month and assistance in finding a suitable apartment. Fuzhou is a beautiful city full of many interesting things to do. 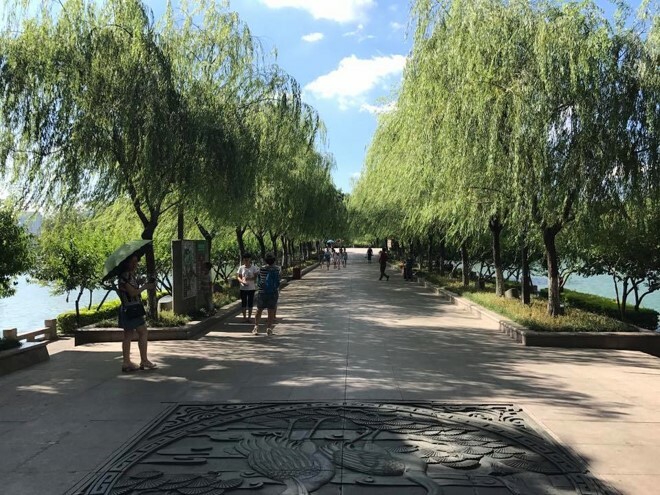 As a long-standing provincial capital, the city brings together ancient culture and a modern city centre to bring you the best of modern day China. Though virtually unheard of outside of China and not a top tourist destination, Fuzhou offers a wide range of sights and activities that are enough to keep the most frequent of visitors busy! Sanfang Qixiang: Sanfang Qixiang, translated as Three Lanes and Seven Alleys, is said to be where the city’s history and culture originated from. An area containing over 200 ancient folk houses from the Ming and Qing Dynasty, Sanfang Qixiang is widely regarded as an architectural museum of these Dynasties. 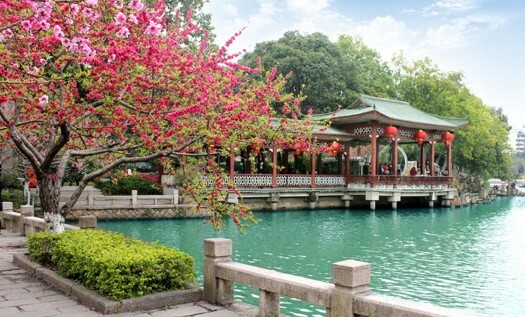 West lake Park: Located at the foot of the Wolong Mountain, West Lake Park has a 1700-year long history and features several temples, halls and pavilions around which locals like to relax, play chess or practice tai chi. XiChan Temple: XiChan temple is one of Fuzhou’s 5 ancient temples and is made up of 36 halls, pagodas and temples. 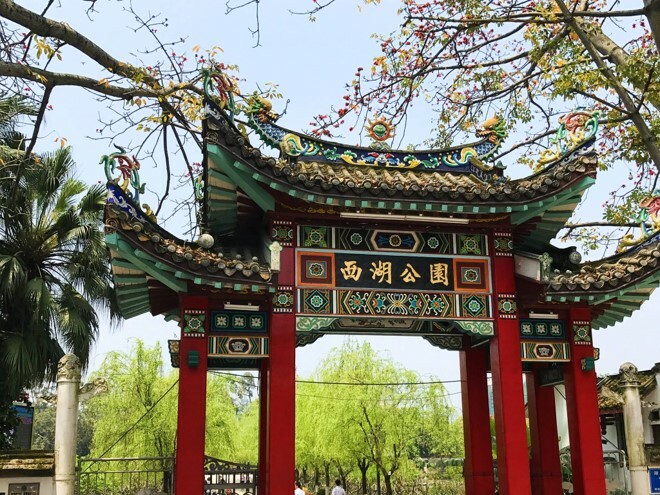 Aside from its impressive architecture, XiChan is best known for its litchi trees, some of which are said to have been there for hundreds of years. GuShan Mountain: One of Fuzhou’s best-known attractions, GuShan Mountain is 925 meters tall and features numerous small attractions such as temples, trees, caves and waterfalls. 佛(fó)跳(tiào)墙(qiáng)：This is a traditional recipe, with a history dating back over 100 years. It uses a combination of over 20 ingredients, including fish, sea cucumber, chicken, pork and mutton, which are left to simmer in a Shaoxing wine jar to create a delicious flavour. 荔(lì)枝(zhī)肉(ròu)：This is one of Fujian’s most traditional and famous dishes, which consists of pork coated with a sauce made from ketchup, vinegar, white sugar and soy sauce. 鱼(yú)丸(wán): The flesh of a carp, shark or freshwater fish is pounded into a soft paste and combined with flour to form small fish balls filled with mussels or shrimp. 光(guāng)饼(bǐng)：This cake is named after a Chinese historical figure, who is held in great esteem by the local people. These unique cakes are round and have a hole in the middle, so they could be put on a strong and hung around the neck. There is always something going on in Fuzhou. The city is well-known for its hot springs and the International Golden Hot Spring Resort has come to be one of the most unique entertainment areas of the city, with frequent performances taking place in the evening. The city is also home to many bars and clubs, most of which can be found on Bai Ma Lu Bar Street. This area is popular among both foreigners and locals. Modern cinemas and shopping malls can also be found across the city. 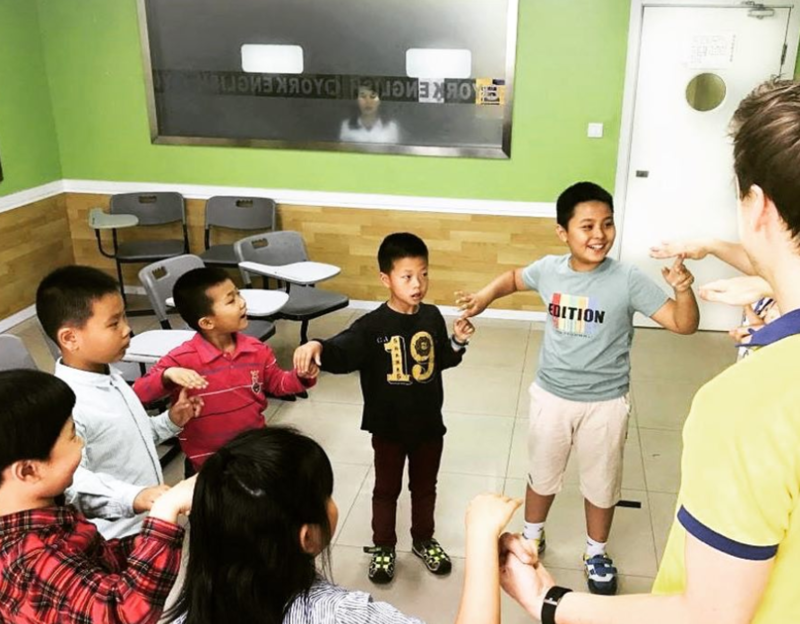 Interested in teaching English in Fuzhou? Find out more about our Private School Teaching Programme, or apply now to start your teaching adventure in one of China’s most beautiful cities!